Gift of Charles Edwin Ireland, 1988. The Edgar Meck Dilley Papers are organized into two series: General File and Works. Each series is arranged alphabetically. 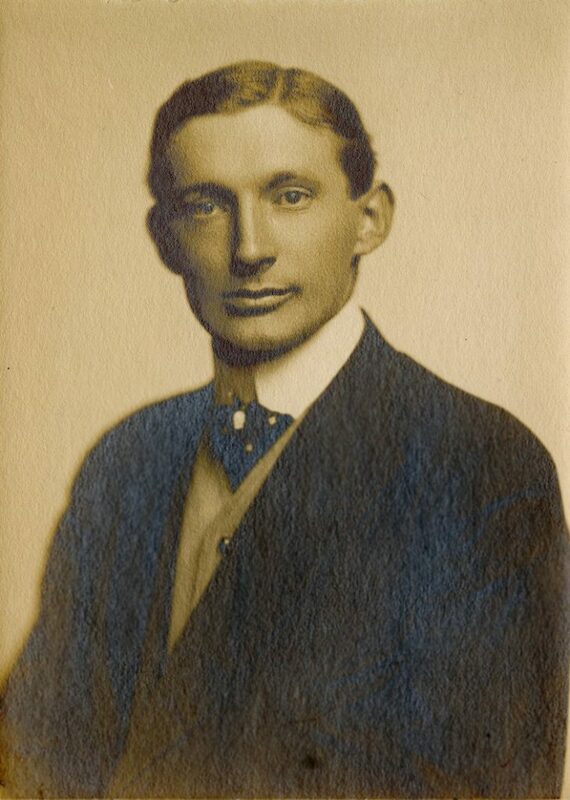 Born in Philadelphia in 1874, Edgar Meck Dilley attended William Penn Charter School before entering the University of Pennsylvania in 1893, withdrawing at his father’s insistence in 1895. While at Penn, Dilley studied architecture and was an active member of the Glee Club. As a sophomore, he composed the lyrics to the University’s alma mater “Hail, Pennsylvania” and encouraged William J. Goeckel and Harry E. Westervelt to write “The Red and Blue,” the alma mater more commonly sung today. 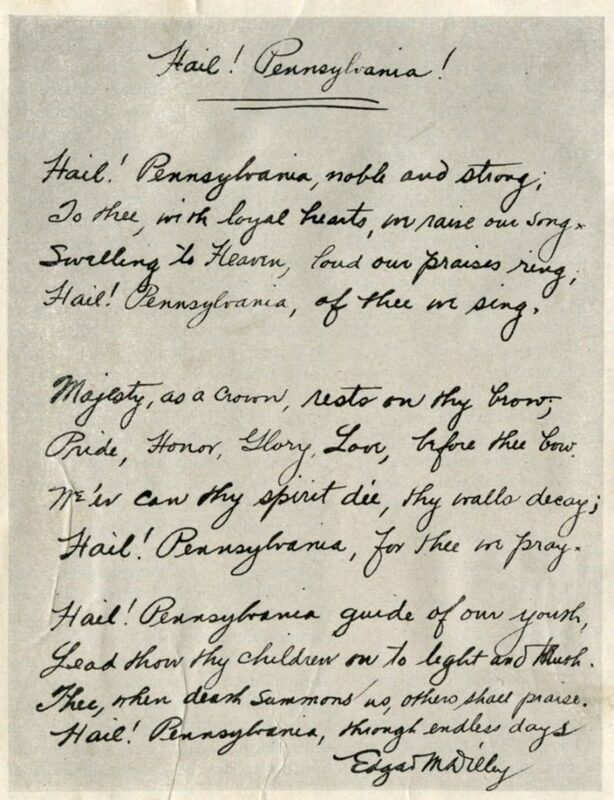 Song-writing was Dilley’s chief claim to fame, as he was also the author of the Pennsylvania State Song and of “Ave, Penn Charter”, one of the alma maters of Penn Charter School. From 1900 until 1923, Dilley worked as a reporter and writer in various locations. His newspaper stints included work for the McClure Times in Philadelphia, the New York Sunday Herald, the Chicago American, and the St. Louis Post Dispatch. His assignments included the Roosevelt-Longworth wedding for the Philadelphia Press as well as a history of the Louisiana Purchase Exposition. His first book, The Red Fox’s Son was published in 1911. In 1923 Dilley moved to Clermont, Florida, to become a citrus farmer and to enjoy the opportunities for sailing; from 1942 until his death in 1960, he lived in St. Petersburg. Dilley resumed writing fiction in 1930 with work on his second novel, “My American”. This small collection consists primarily of printed and published works by Edgar Meck Dilley, including poetry, short stories, novels, the script of an operetta, and the lyrics of “The Red and Blue”. There is also brief correspondence by Dilley with Lowell Thomas and a membership card to the Tall Story Club for Dilley, signed by Thomas. Photographs of Dilley make up the rest of this collection. “This Man died and Lived to Tell the Story”, n.d.
“The Mystery of Ralph and Edgar”, n.d.
“What Do You Think?”, n.d.